Jennie Boisvert - Councillor for Clarence Park Ward: Infrastucture: too much initiative? 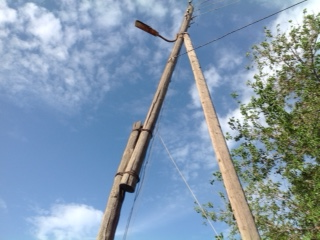 Electricity poles. Note the playground in the background. 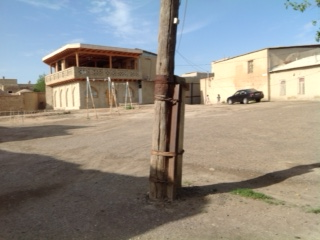 I have spent the last 3 weeks in Uzbekistan. It would be fair to say that I didn't go to see or judge the innovation and initiative shown by the people in keeping things working. I thought I would share these with you. However, it is good to see that buildings can last for thousands of years in a place such as this. 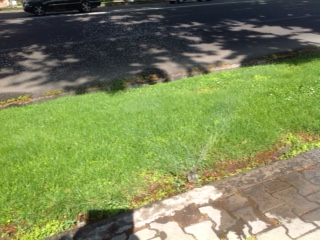 The photos are mosstly from Bukhara; the sprinklers were spotted in Tashkent. Soft drinks bottles being used as spinkler heads. 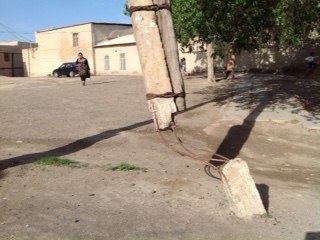 The base of the same post! !